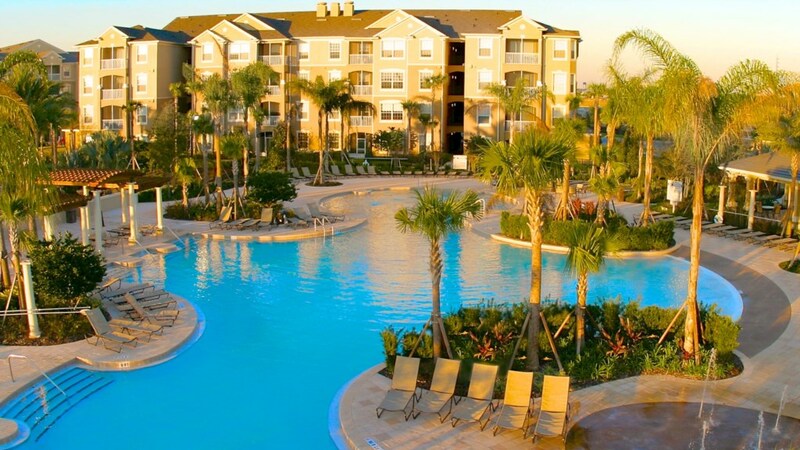 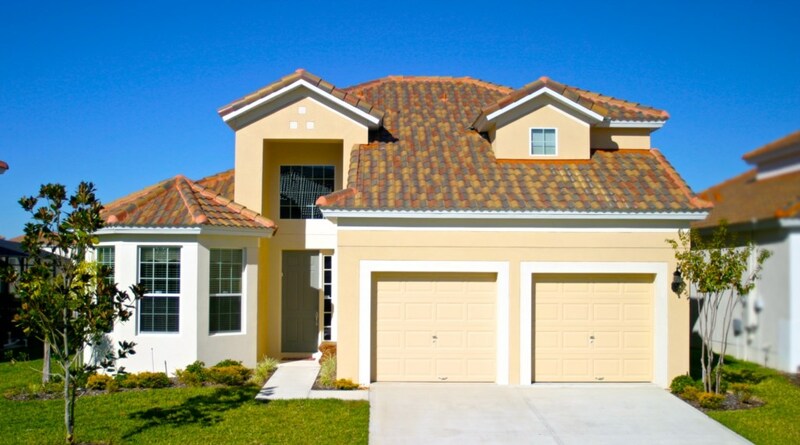 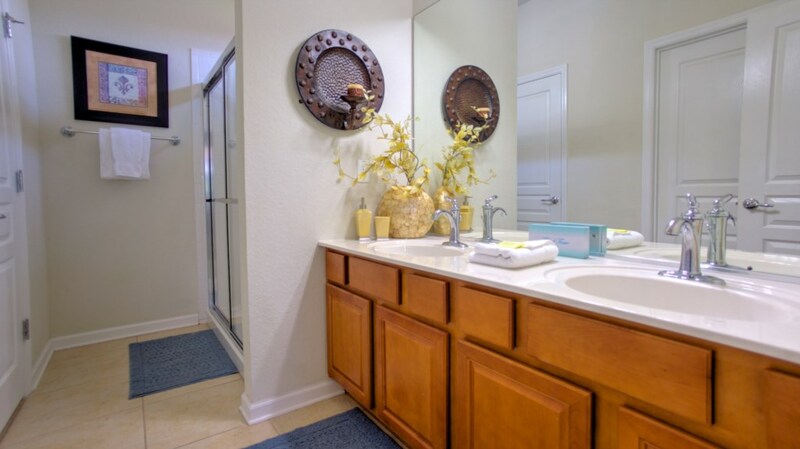 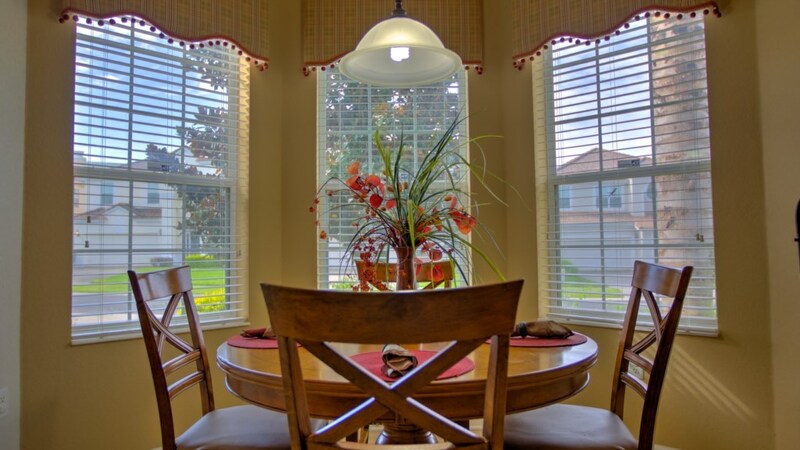 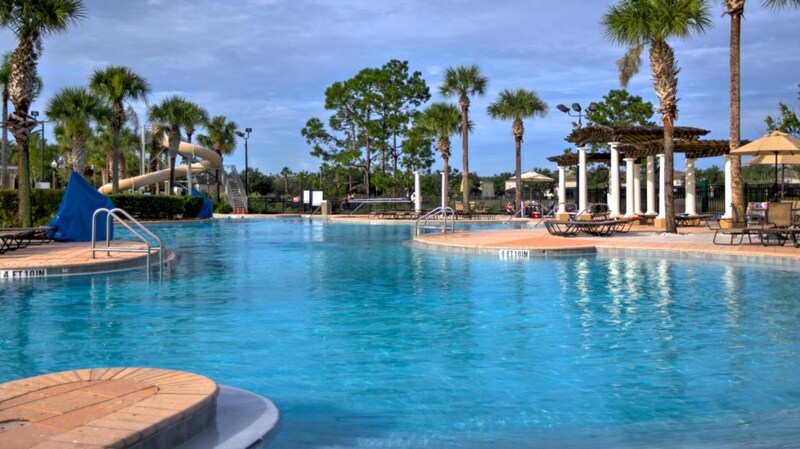 The Heathrow is a beautiful 5-Star vacation rental home located in the Windsor Hills Resort of Kissimmee, Florida. 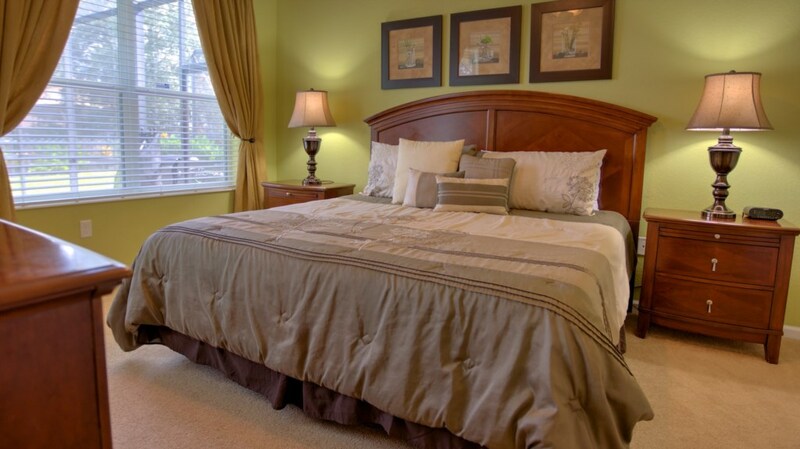 Guests will enjoy the great location, amenities, fine furnishings, and brilliant decor. 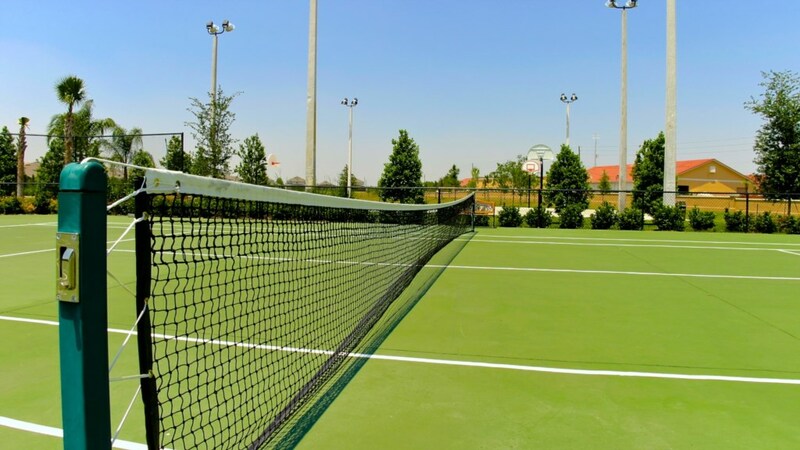 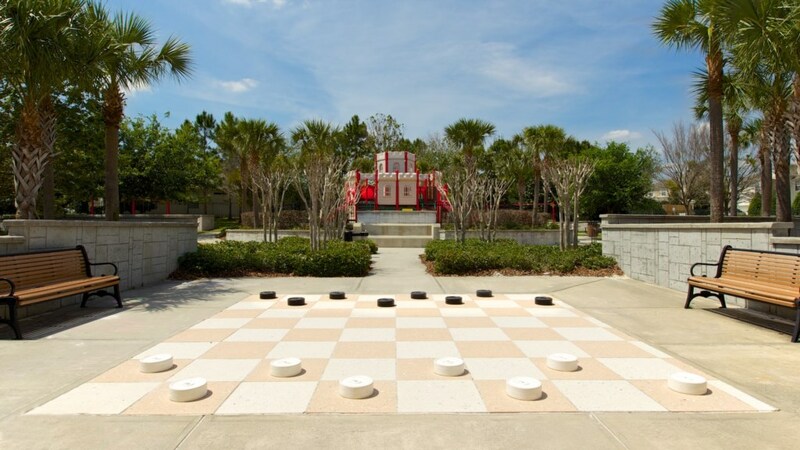 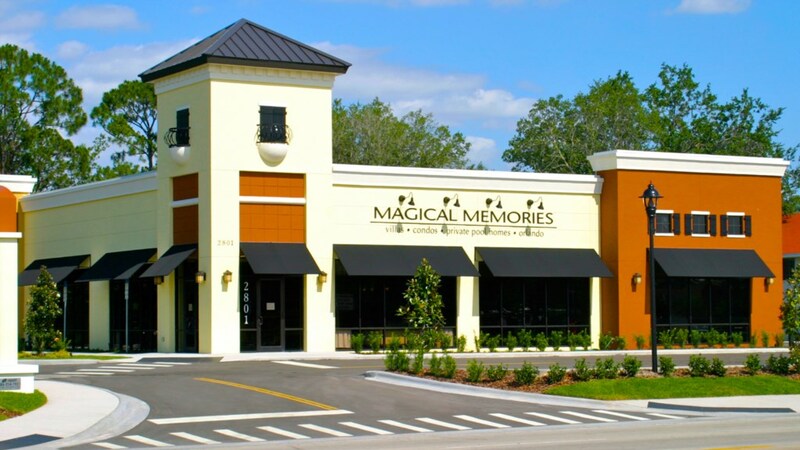 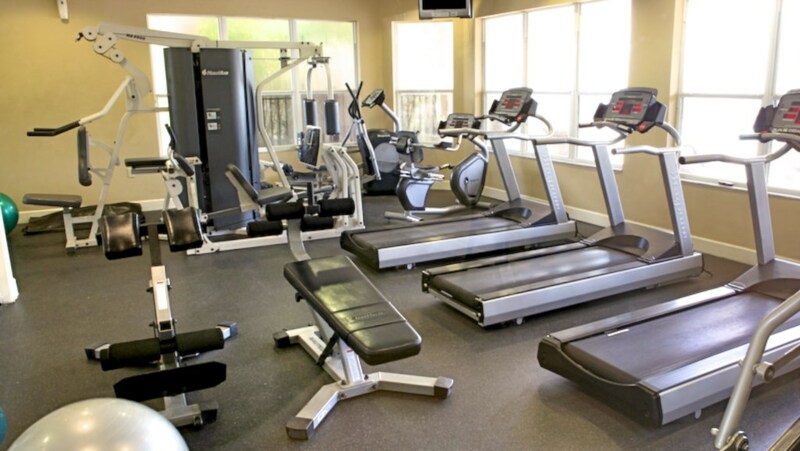 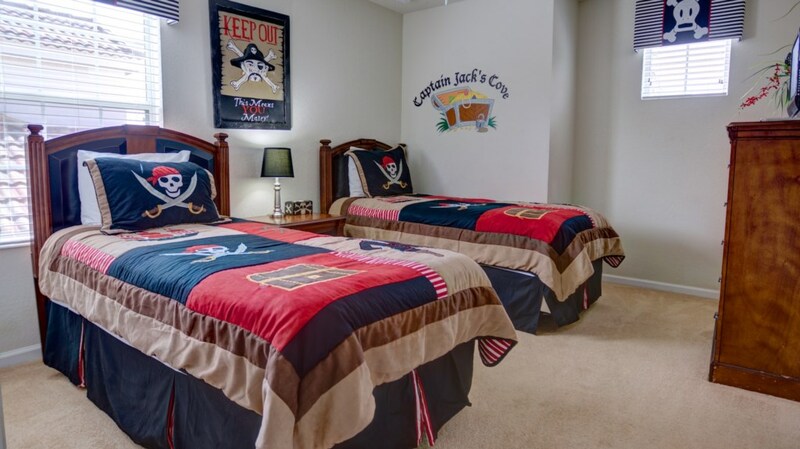 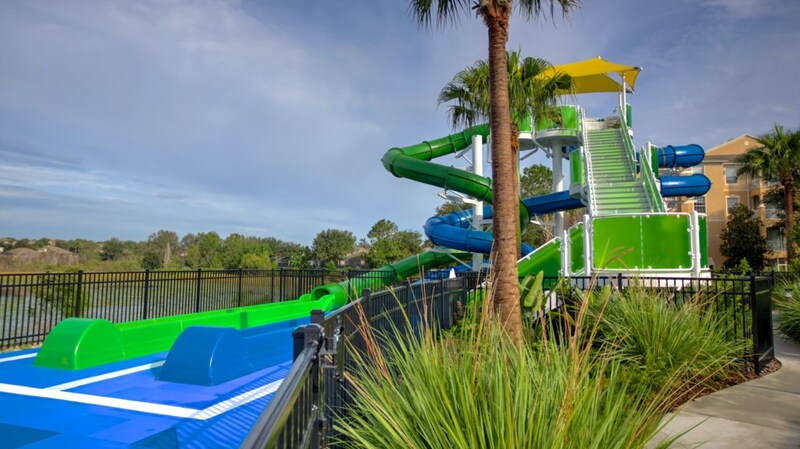 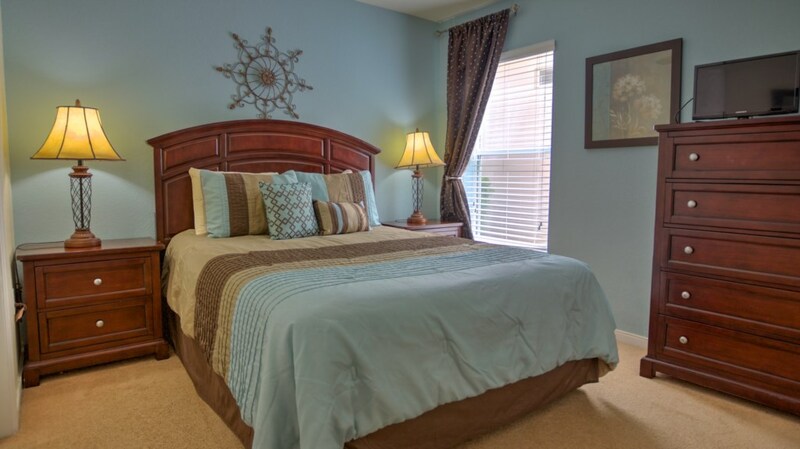 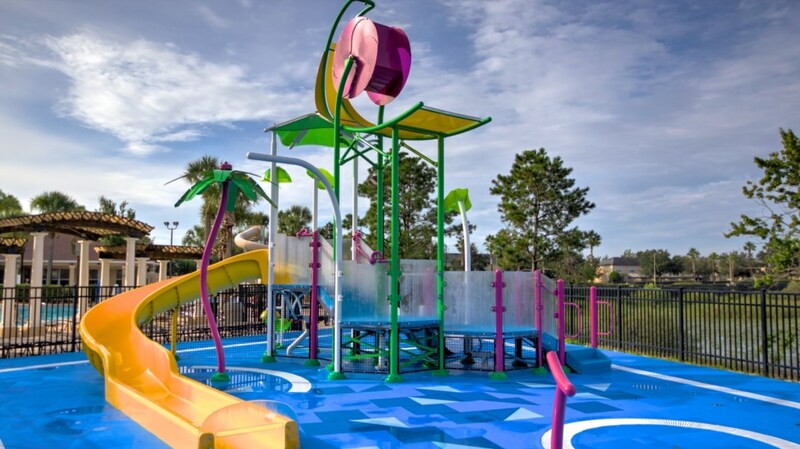 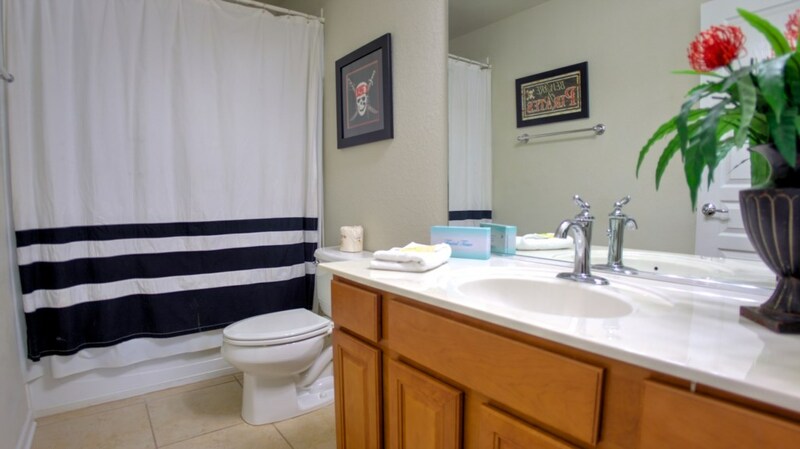 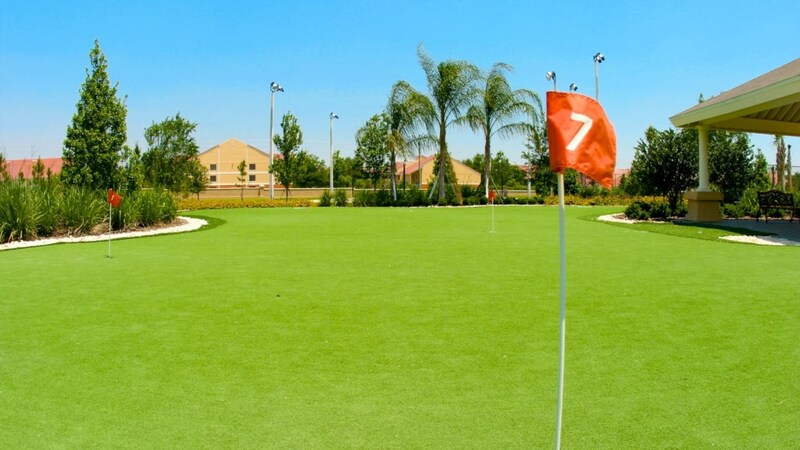 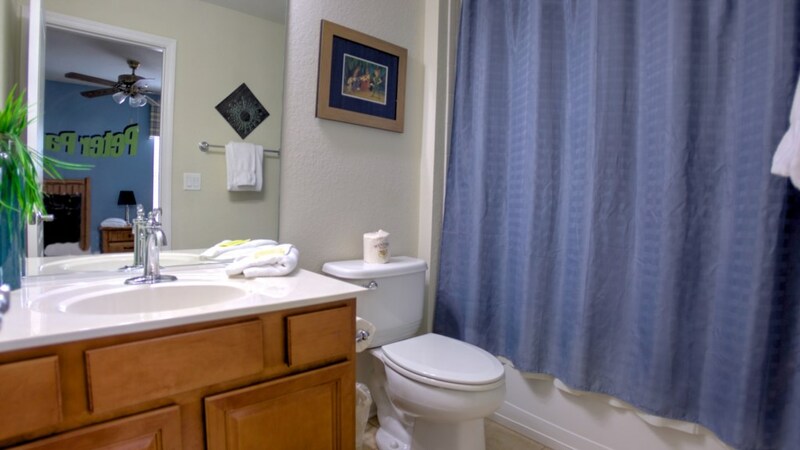 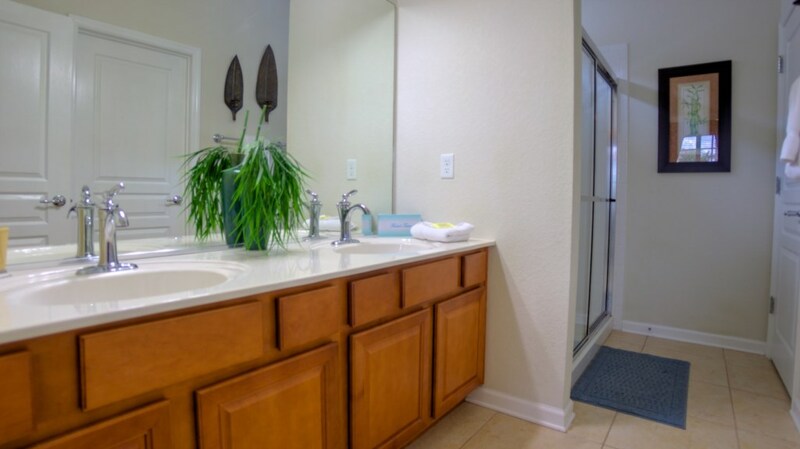 Its location is in close proximity to the popular Disney parks, Universal Studios, and Sea World amongst other Kissimmee attractions and shopping. 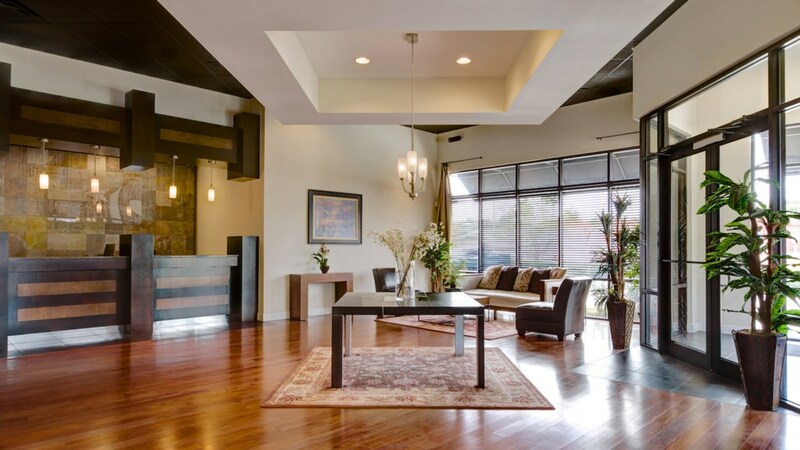 Over 2,300 square feet of luxury living space graces this two- story home. 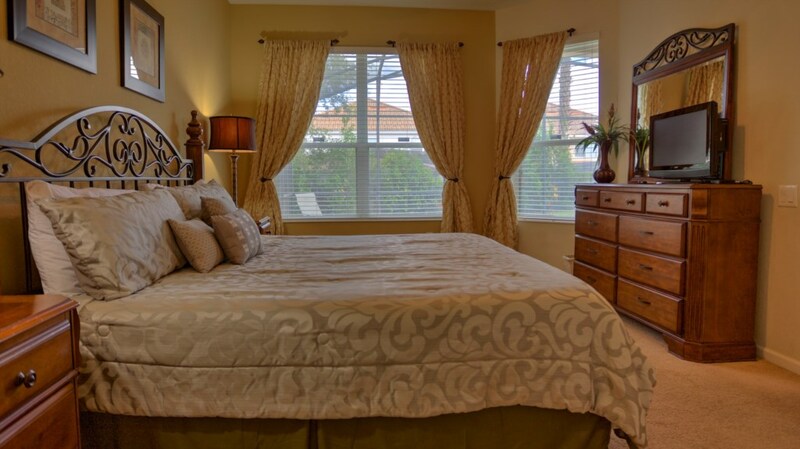 Both master suites offer king sized beds, 24" LCD TVs, and attached master bathrooms with dual sinks and oversized showers. 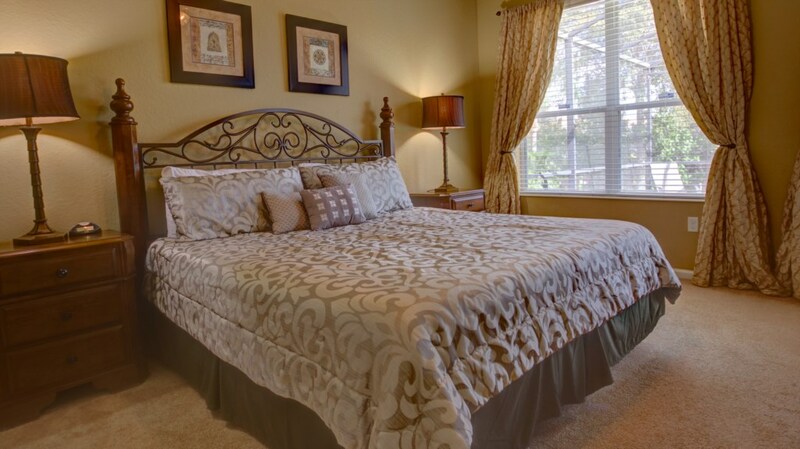 Another bedroom suite features a queen sized bed, TV, and private bathroom with a tub and shower combination. 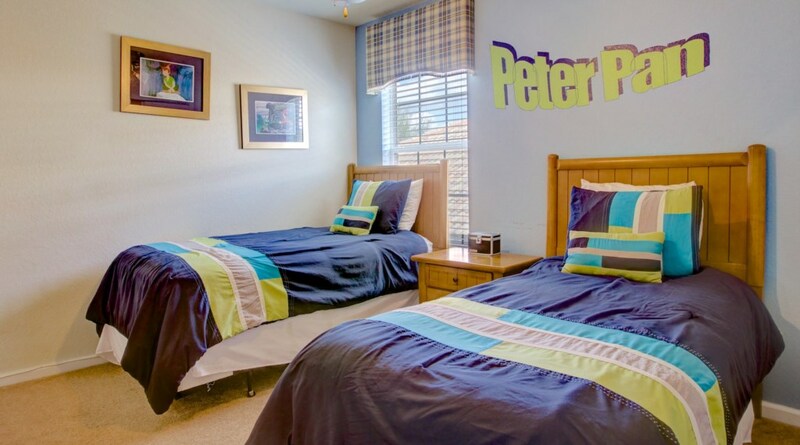 The other two bedrooms promise comfortable sleeping; with each bedroom having sets of twin beds. 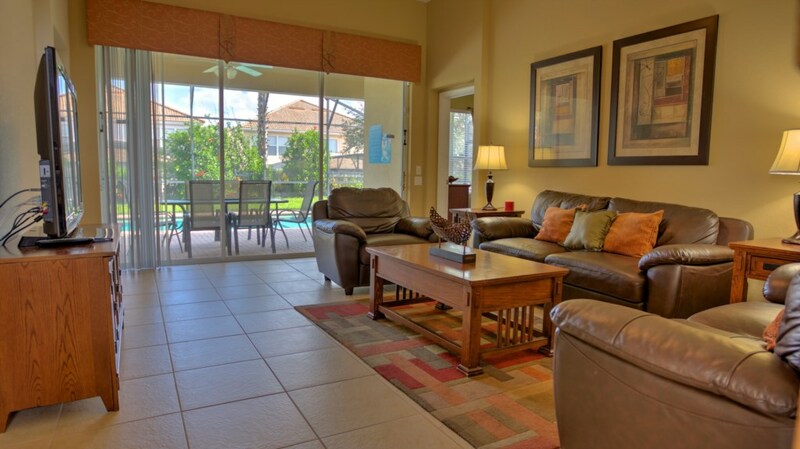 Enjoy family movie nights on the 50" plasma TV and DVD player in the living room. 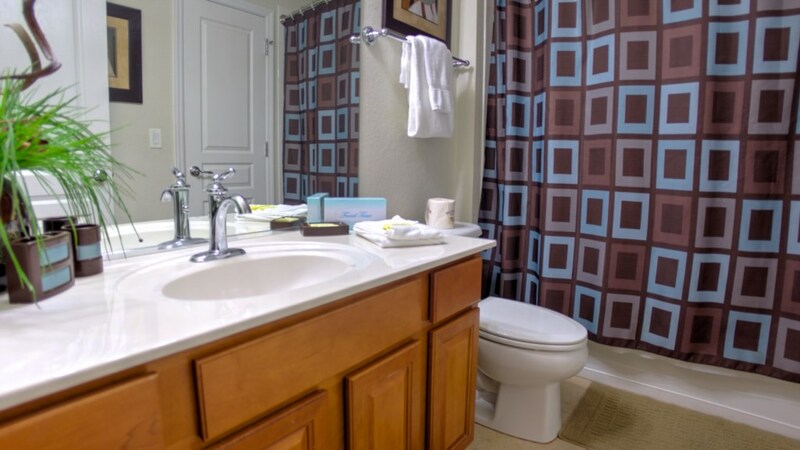 Wi-Fi internet access is available for guests wanting to stay connected. 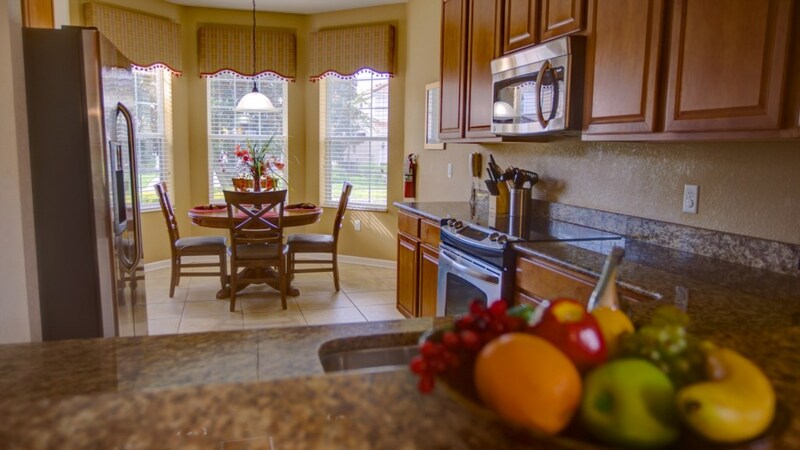 This Kissimmee vacation rental home features a large, fully-equipped gourmet kitchen perfect for cooking great meals. 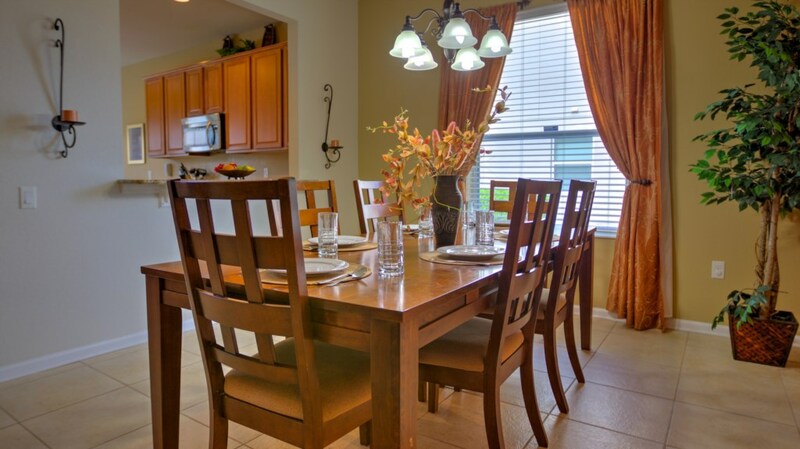 Guests can dine on the large dining table or small breakfast nook. 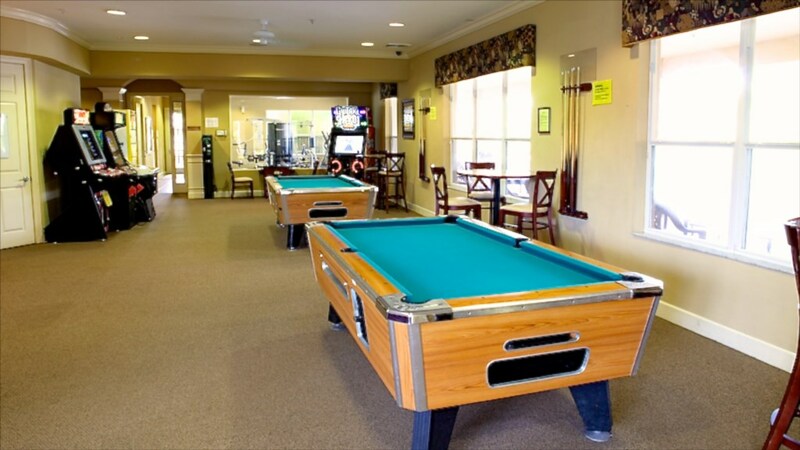 The game room provides hours of entertainment with a billiards table, card table, and air hockey. 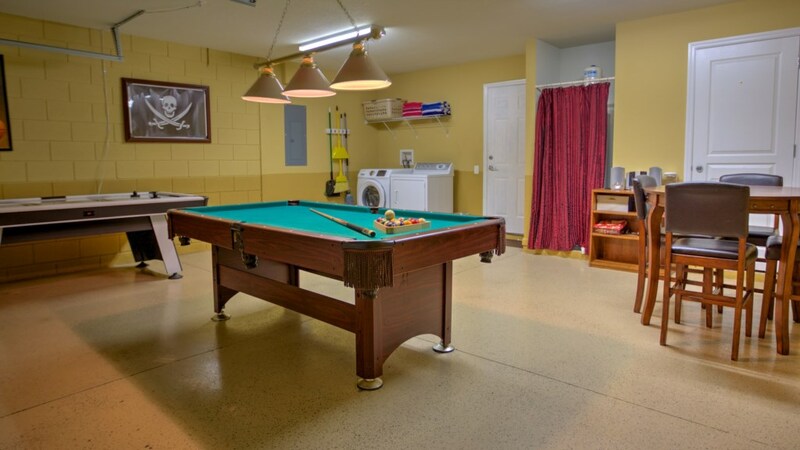 Laundry facilities are located off of the game room, both a clothes washer and clothes dryer. 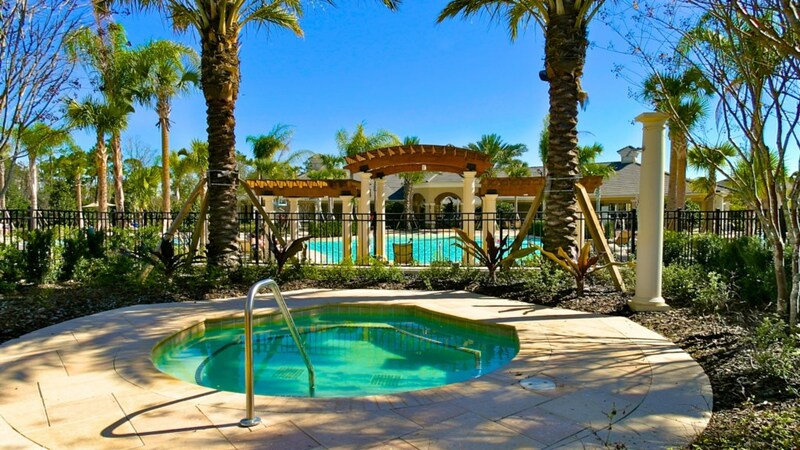 A private swimming pool and hot tub within a screened patio provides the perfect place to unwind and relax in the Florida sunshine.